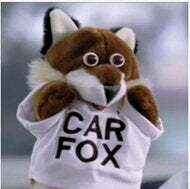 So I’m looking at purchasing a used vehicle, and was wondering whether or not it is worth it to run a CarFax on said vehicle. If it was like, $10, then sure. But $40 for one report that I’m not sure will really tell me anything seems high. The VIN is 3B7KF23ZX1G815414 and google shows that it’s the correct vehicle. Opinions? Or when the price is $3k, is the CarFax really going to tell me anything worth knowing that I don’t already know. TL;DR what does a CarFax tell you and is it worth the money? Second question: Vehicle in question is a 2001 Dodge Ram 2500 with the 5.9 gas. Any Oppo have experience with this vehicle, or the 360 magnum in general? Thanks!